Flying is the second most prevalent “vanilla” keyword and the most widespread, appearing in almost every faction. Decks built around fliers allow you to play your minions safely on the backline and make maximal use of positioning. A well-timed buff on an active flier can create a cascade of value of that goes a long way towards winning you the game. These decks also have the advantage that they tend to be relatively cheap, spirit-wise. More situational neutral fliers, that you may need for a certain combo, tech purpose, or curve considerations. The faction fliers are usually pretty good, and usually at least some will make the cut into your list. Your fliers are at their best when you can buff them, especially with AOE effects like Frenzy. 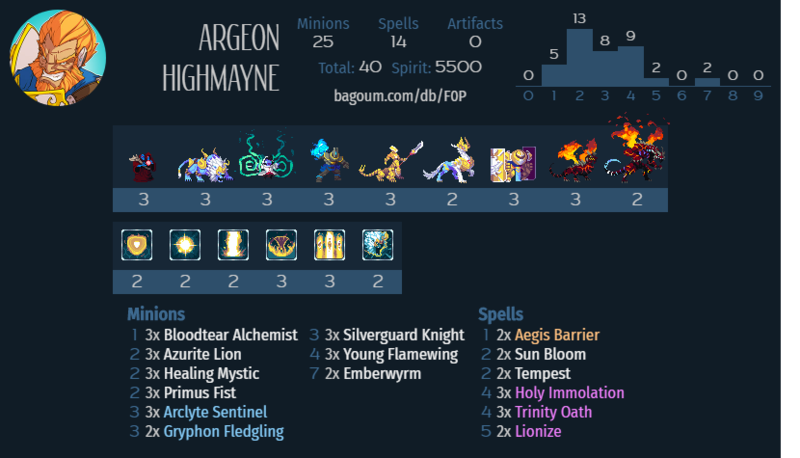 Songhai – A fun budget list that I had some success with a while back, that seeks to turn all your minions into Scarlet Vipers. Skywing will indeed discount Mizuchi, although it gives away the surprise if your opponent is paying attention. See decklist above. 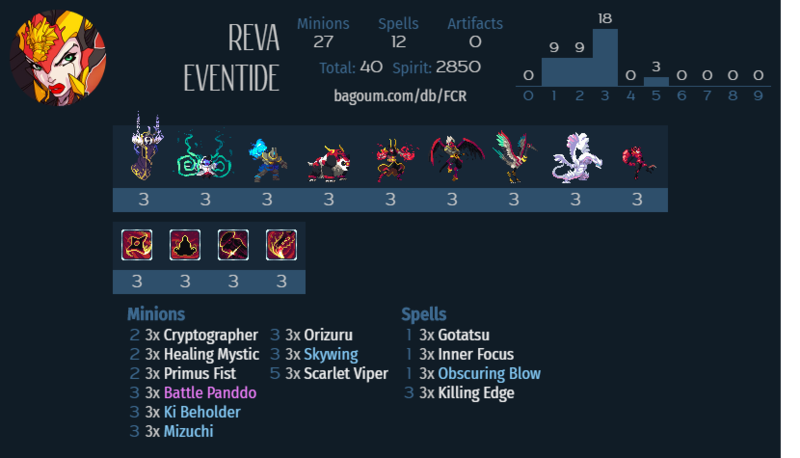 Vetruvian – Although not as powerful after its nerf, Azure Summoning still allows for a fun combo deck. See AlphaCentury’s writeup, as the lines can get somewhat complicated. 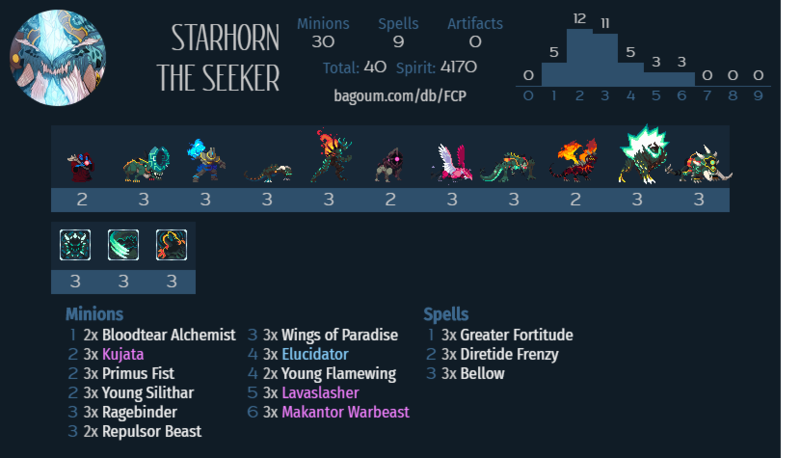 Decklist (credit AlphaCentury). 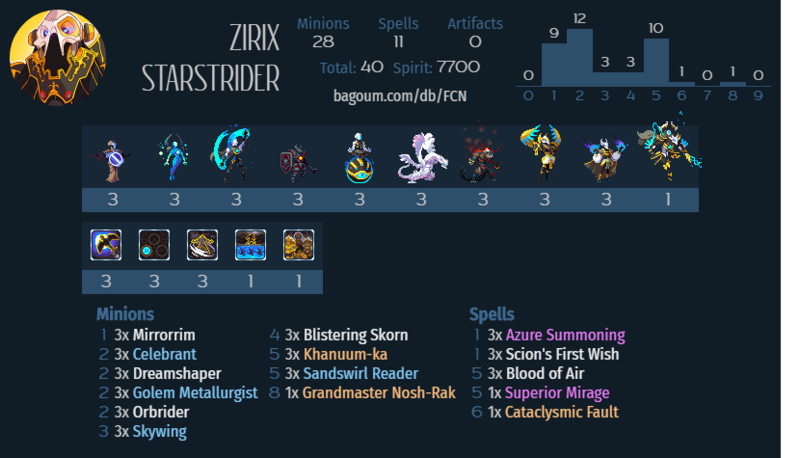 Abyssian – An active flier makes Furor Chakram feel even more amazing than usual. 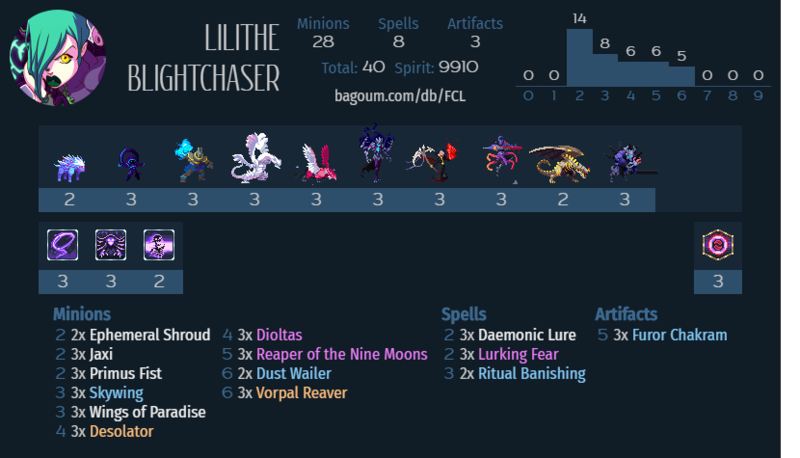 Decklist (credit Miguel). Magmar – No in-faction flyer, but the buffs with AOE effects are very powerful when you can position your minion arbitrarily. 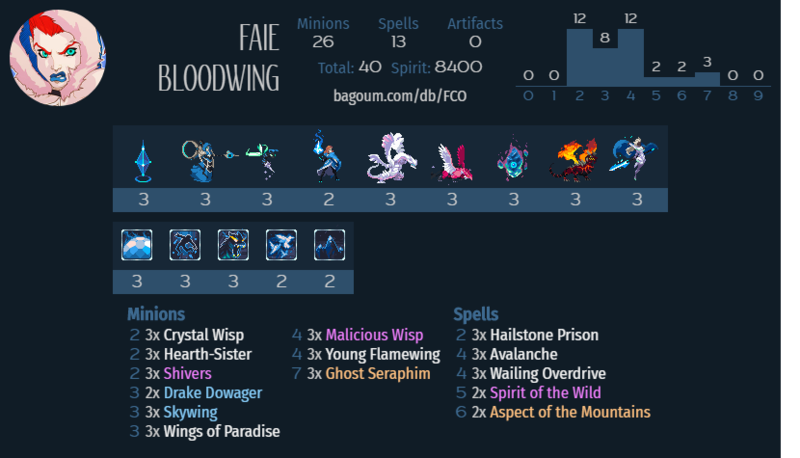 Decklist (credit AlphaCentury and IceyFire95). 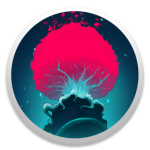 Vanar – Flying minions help you force your opponent away from their side of the board, right into your Avalanche. Decklist (credit Miguel).